Come see our bright, child-friendly, ground floor office! "Where caring paws find your child's inner voice"
Russian English Bilingual Children in Manhattan! I can help your child improve in all areas of communication. I will help you and your special needs child enjoy mealtime! Private practice in Hoboken, New Jersey offering individualized, home-based speech, language and oral motor therapy. Currently available for on-going therapy, speech/language screenings or comprehensive evaluations in the convenience of your Hoboken home. Practice previously based in New York City. City Sounds of NY is the premier provider of preschool and school-age (CPSE & CSE) speech-language therapy services and supports. We provide services through New York City with a heavy concentration in Manhattan and Brooklyn and are a contracted PRIMARY agency for the NYC Department of Education in the following school districts; D1,D2,D3,D4,D5,D13,D15,D17,D32. As a licensed Speech Language Pathologist, Audiologist, Mental Health Counselor, & Marriage & Family Therapist, working with children, adolescents, adults, families, & business cohorts, I bring to you and your relationships twenty-five plus years of experience, two PhD doctorates, & broad specialty training in all aspects of Speech-Language Pathology and Audiology. Carole Danas is a speech-language pathologist located at 315 East 70th Street in New York, NY. Practice Type: • Home Health Agency - Client's Home Practice Areas: • Speech Language Pathology • Speech Therapy Take the next step and contact Carole Danas for a consultation in New York, NY or to get more information. Ms. Jocelyn Speech / Kupperman Communications, Inc.
Elizabeth Bernhardi is a speech-language pathologist in San Francisco, CA. Practice Type: • Non-Related Professional Org. 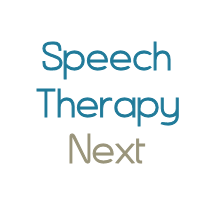 Practice Areas: • Speech Language Pathology Take the next step and contact Elizabeth Bernhardi for a consultation in San Francisco, CA or to get more information. Play to Learn, SLP P.C. We Aim High to Reach Each Client's Highest Potential! Aim High Speech Language Pathology, P.C.